Zero-emissions cars are popping up left and right, but motorcycle design has been a little late to the game. Yet, all-electric motorcycles and are zooming down the streets in increasing numbers. With varying engine sizes, charging times and driving ranges, each new electric motorcycle that hits the market offers something unique. From far-out futuristic designs that look like something Batman would ride to bikes that could have driven off a Star Wars set, cutting-edge electric motorcycles have broken the early trend that suggested EVs ought to look like dorkier versions of their fossil fuel counterparts. Other electric motorcycles target ambitious performance standards — from blistering top speeds to longer driving ranges and even some fun features like built-in LED effects. 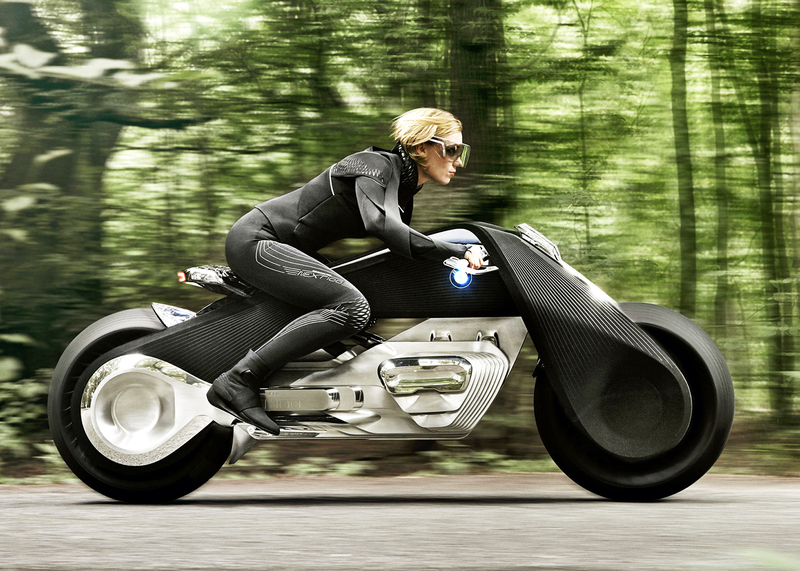 Leave it to BMW to create an electric motorcycle fit for the world’s most popular superhero. The self-balancing BMW Motorrad VISION NEXT 100 is an all-electric, zero emissions ride that looks like it was designed for Batman himself than your average biker, with a sleek, matte black frame and futuristic style. Unveiled last month in Los Angeles, BMW’s newest electric motorcycle features a triangular design similar to the luxury automaker’s previous bikes, but this time it is comprised mostly of carbon fiber and polished aluminum. The Motorrad’s ability to stand on its own aids in the ride’s stability and safety — BMW is even suggesting that riders can go without a helmet. While we wouldn’t recommend that approach, BMW created a smart visor for the rider to wear, which replaces both the windshield and rearview mirrors while enabling the rider to access navigational data and other information on bike performance. 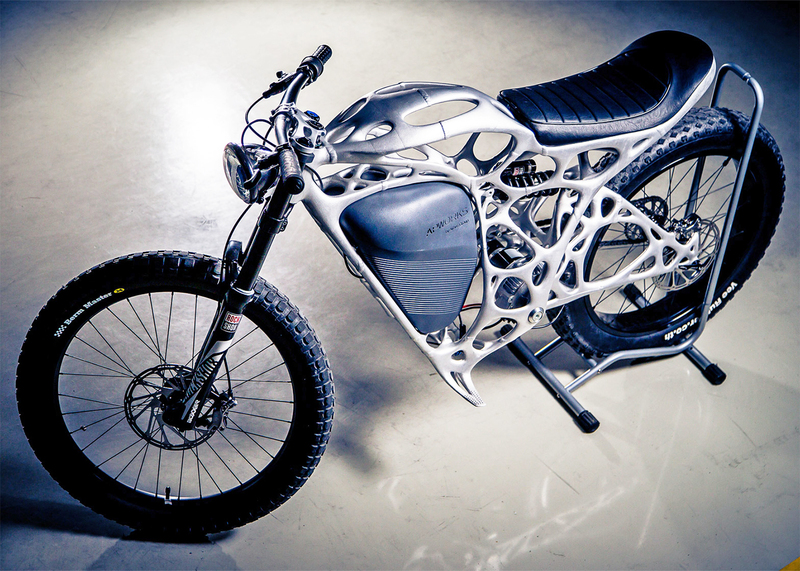 The world’s first 3D-printed electric motorcycle came hot off the presses earlier this year. Light Rider was created by APWorks, a subsidiary of Airbus, and the fully electric bike boasts a 37-mile range and a top speed of 50 miles per hour. The prototype sports a frame that looks more akin to an alien skeleton than a standard cycle, and it weighs only 13 pounds — around 30 percent less than the average e-bike. With the motor and all its wiring hidden inside the casing, this bike looks like something straight out of a science fiction film. Only 50 of these futuristic high-end bikes will be created, and each will be sold for a whopping $56,000. A few years back, someone created a concept motorcycle that would get the attention of any Stormtrooper in its vicinity. The Honda Chopper stems from the mind of designer Peter Norris, who typically works in video games. 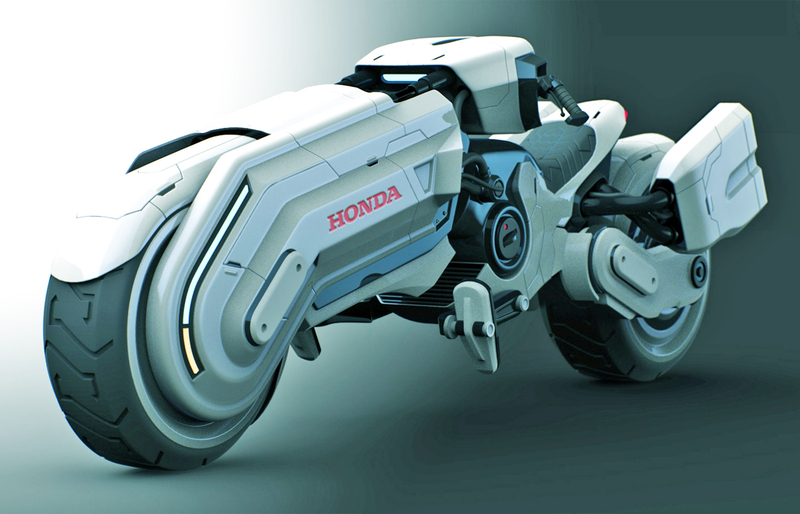 The Chopper concept calls for a different approach to motorcycling, and Honda seems like the carmaker that might be able to get away with a launch of something this wild. 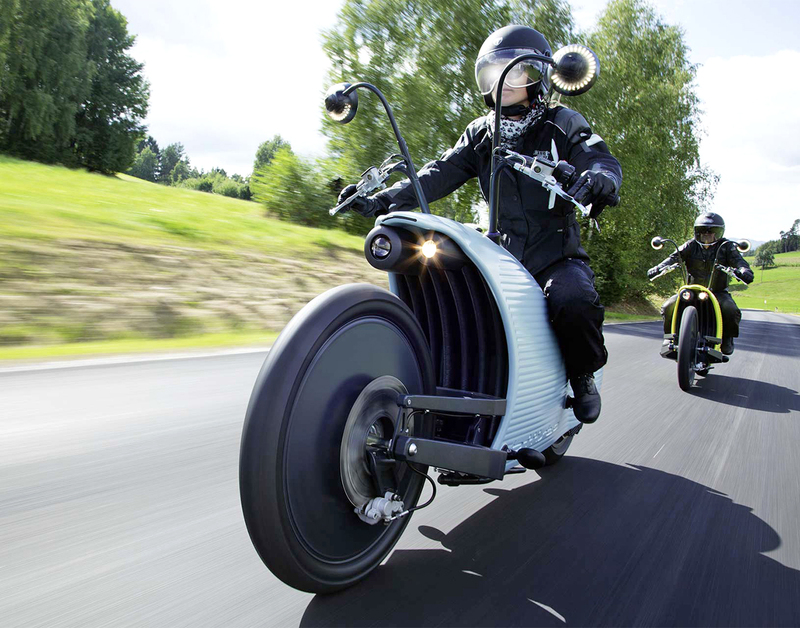 With electric motors mounted right on the wheels, the Chopper has a lower center of gravity than the standard motorcycle, which lends to its stability and handling. No word on whether Honda R&D is actually considering production on such a thing, but the concept is pretty intriguing. The Johammer J1 electric motorcycle has promised to do what none before could deliver: 125 miles of all-electric range on a single charge. The bike is able to exceed the energy storage capacity of the average e-bike thanks to a larger, enclosed compartment for its larger batteries. Manufactured in small quantities in Austria, the Johammer J1 runs on high-density batteries created specifically for this all-electric cycle. The e-bike initially sold for $31,860. 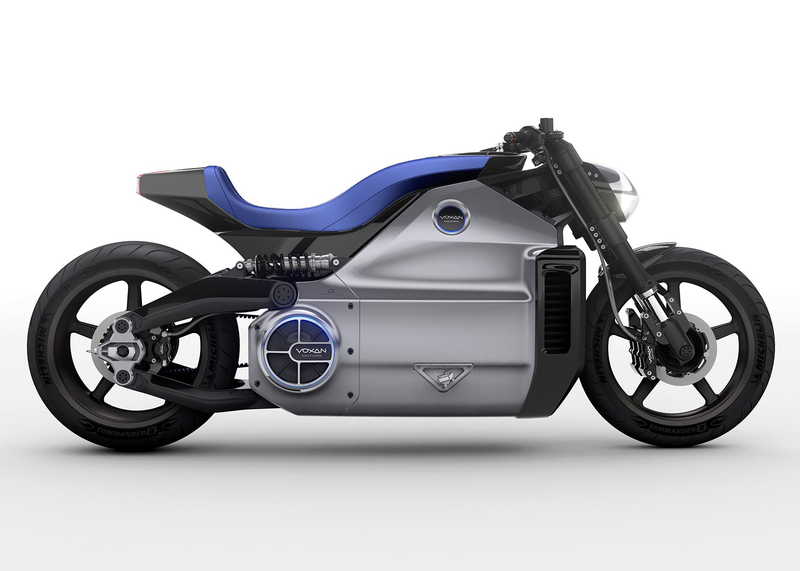 Upon its release in 2013, the Voxan Wattman was known as the world’s most powerful electric motorcycle, thanks to its 12.8kWh battery pack. The all-electric motorcycle can go from zero to 60 mph in a mere 3.4 seconds for a quick, emissions-free getaway. Perhaps one of its best features, though, is that the battery can be fully charged in about half an hour – and that gives the bike a range of around 111 miles. Launched as a concept bike, the Voxan Wattman was primed to take on the motorcycle market, but the company dropped the project after it was plagued by a host of complications. In 2011 Parker Brothers Choppers created the Lightcycle: an all-electric motorcycle that doubles as a moving light show. Outfitted with an array of LEDs, the Lightcycle is capable of traveling as fast as 100mph and has a 100-mile driving range after just 35 minutes of charging time — but its makers insist that isn’t the point. 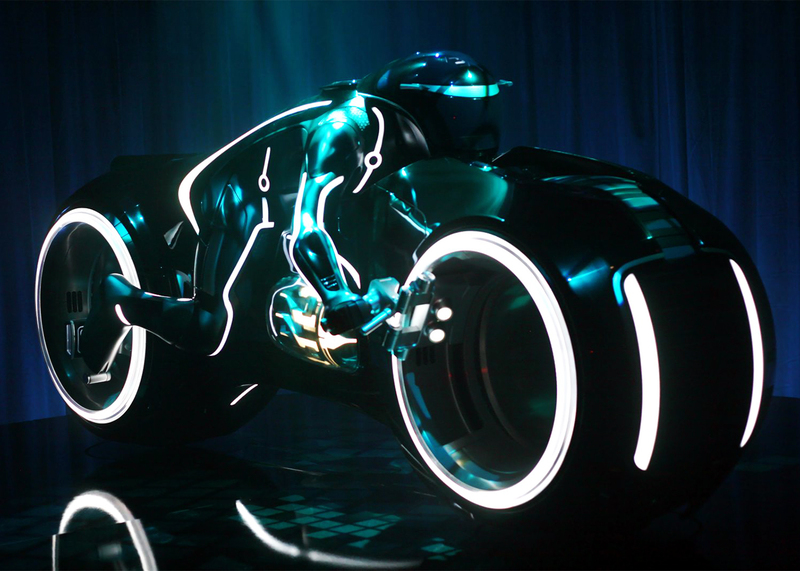 The motorcycle’s contoured frame and wheels are all lined with glowing LEDs, which accent its hardened steel frame, and a carbon fiber and fiberglass body. Driving an emissions-free chopper like this at night would be a sure-fire attention-getter in any urban environment.